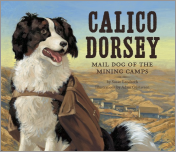 Calico Dorsey, Mail Dog of the Mining Camps by Susan Lendroth. Illustrated by Adam Gustavson. Tricycle Press, 2010. Available now. 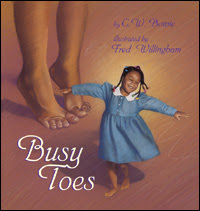 Did you know that Tricycle Press is now owned by Random House? In the 1880s Dorsey, a border Collie, lived with Al, the storekeeper of the mining town of Bismark. Every week Al and Dorsey went to the town of Calico to pick up store supplies -- and the mail. One week, Al decided it was too dang hot to make the trip over the mountain trail. (But Dorsey went anyway, to visit his Calico friends.) In fact, Dorsey visited more often than Al, every week. Soon the men were attaching notes to Dorsey, back and forth, and eventually attached mailbags to his back. True story. A note in the back tells about the real Calico and even has a photograph of him. 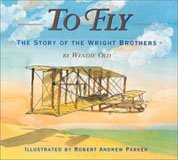 This picture book biography of a Mail Dog should appeal to first and second grade readers as well as preschool listeners. 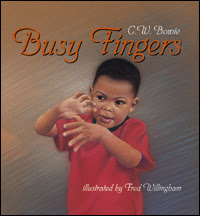 Links to more Nonfiction Monday blogs are listed at Write about Now. What does Moondust smell like? 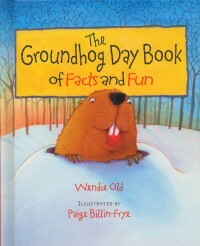 Is the picture book dead? Wear a Kilt to Class?